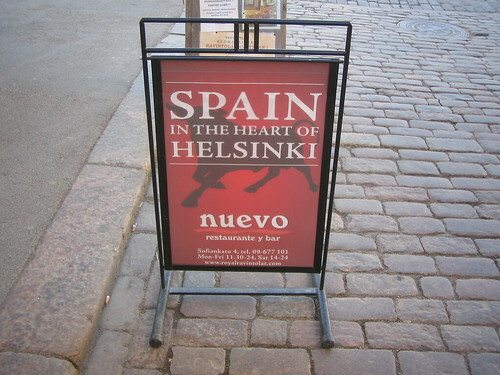 Spain in the heart of Helsinki, originally uploaded by dgray_xplane. Anyone reading this blog from Helsinki? I am here for a couple days. If you want to connect, leave a comment, send me a text message at +34-670-783-657, or email me [dave dot gray at gmail dot com] with your contact info. VizThink 08 lineup, originally uploaded by dgray_xplane. 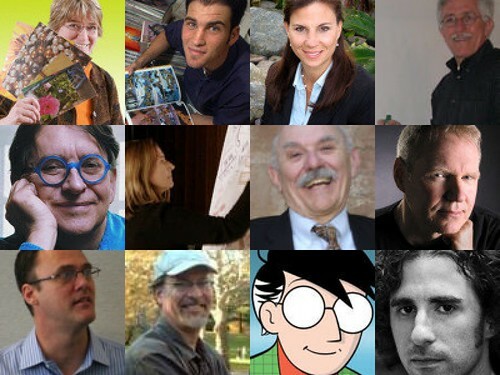 I'm pleased to announce that I will be facilitating at VizThink 08, a new event that's kicking off this coming January in San Francisco. 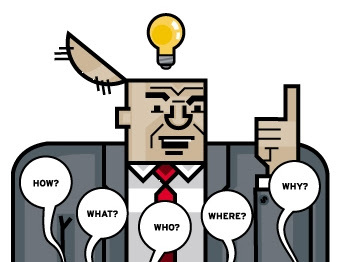 "Who are visual thinkers? Visual thinkers are people who use graphic design, images, pictures, video, animations, sketches, and other forms of visual art for communications and learning. VizThink will bring together several hundred participants from the best of the best in our industry with participation by trainers, marketers, presenters, executives, planners, strategists, and managers, just to name a few. While each approach may be different, the attendees all share the same philosophy in the power of visualization for learning and communication. We believe that by bringing these diverse groups together, we'll create a community that can take the industry to a new level and invite you to take part." Here's a list of the speakers that have confirmed so far. I'm excited that I will be facilitating workshops and dialogue with them. Click the links for more information. I'm also helping to organize the conference, so if you have ideas for speakers or sessions, please let me know in the comments section. I'll be posting more about VizThink in the coming weeks. Stay tuned! Chris Gemignani of Juice Analytics shows how to recreate a New York Times chart using Microsoft Excel. This summer I led some visual thinking exercises at Overlap 07, a small gathering of design/business thinkers. The video above will give you a bit of a feeling for how visual thinking can make meetings and events more collaborative, conversational and engaging, and how visual thinking can spark creativity and insight. Here are some of my photos from the event. 50 Designers x 6 Questions | Developer's Toolbox: "Some months ago we’ve selected 50 prominent designers and design companies, contacted them and asked to answer five design-related questions, sharing their knowledge and experience with fellows developers. 35 designers have responded then. For each of 5 questions we’ve received 5 precise answers. The result was 175 professional suggestions, tips and ideas from some of the renowned web-developers all around the world." Matt Alland recently interviewed me for HostNews.
" ...with concise and rigorous texts, bilingual, the Visual Dictionary will become a academic resource. 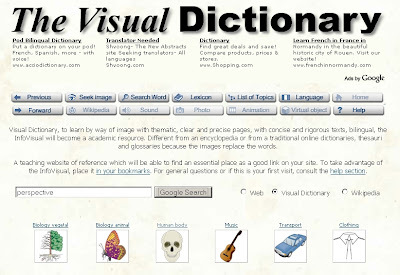 [It's] different from an encyclopedia or from traditional online dictionaries, thesauri and glossaries, because the images replace the words." Neil Cohn of Tufts University takes a deep dive into visual language. "Art is used in very specific cultural contexts... Language? We use language for everything. Language is used in all sorts of different contexts. Why not use visual language in all sorts of different contexts?" His talk is 45 minutes so check this out when you have time. In the meantime, Neil's website and blog are worth a look.